As a tourist destination, Athens is a city full of cool attractions. From archaeological sites, museums, shops, traditional restaurants and trendy bars to white sand beaches with clear waters. Athens has something for everyone. 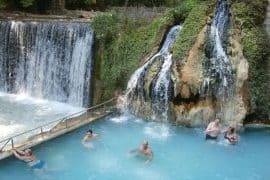 If you are staying in Athens for a couple of days, it’s worth making a day trip and discover a different part of Greece. Delphi is one of the most important archaeological sites in Greece and home to the famous oracle. 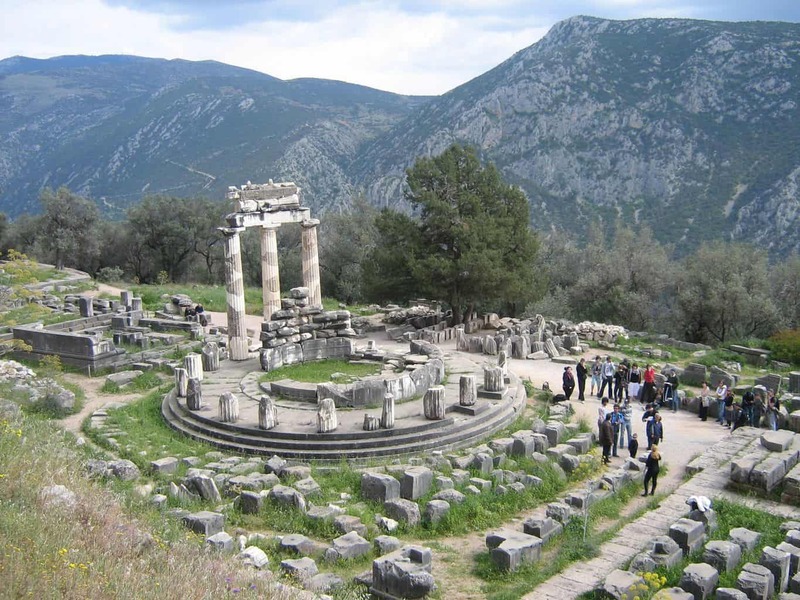 Delphi was declared as a World Heritage Center from UNESCO. 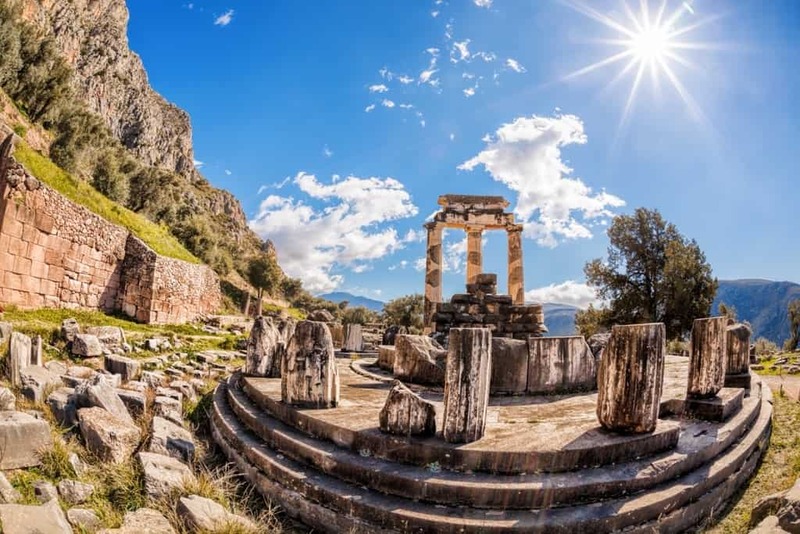 On your day excursion to Delphi, you will have the chance to visit the Temple of Apollo, the ancient theatre and the archaeological museum among other places of interest. At the archaeological museum, one of the most popular museums in Greece, you’ll be able to view many artifacts that were uncovered in Delphi like carvings, dishes, and statues. 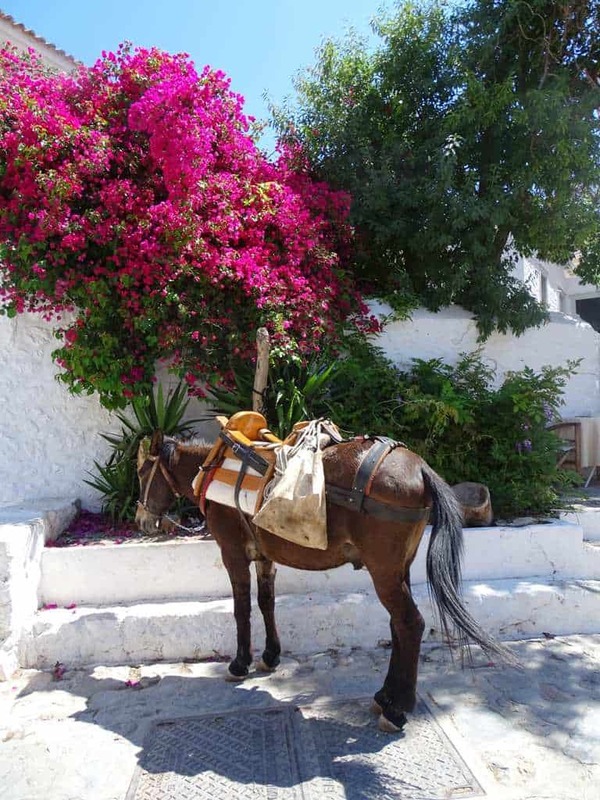 On your way to Delphi, you can also stop to the nearby village of Arachova, a very popular winter resort. This picturesque resort is situated beneath Mount Parnassós and has plenty of activities you can partake in. 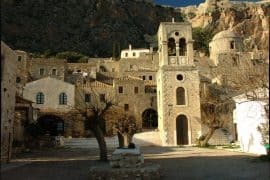 Why not combine Delphi and Meteora with this two day tour? – Find here more information. Sounio is located only 69 km away from Athens making it the perfect half day or full day trip from Athens. 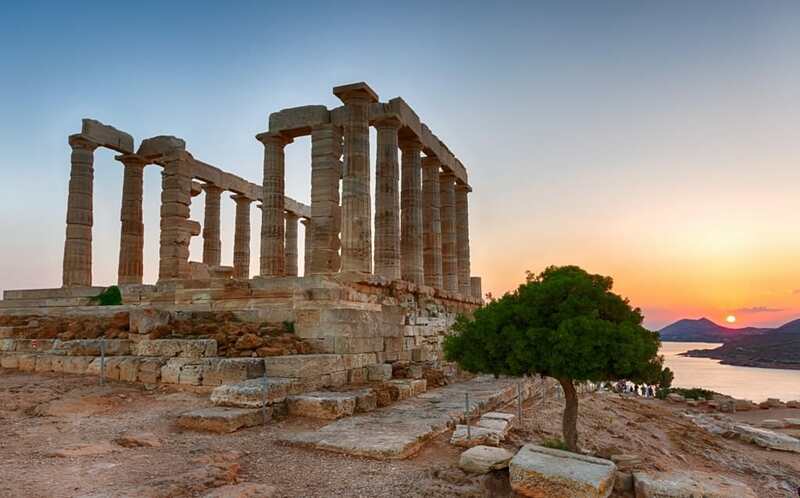 At Sounio, you will have the chance to visit the Temple of Poseidon that dates back from 44 BC and admire the incredible view of the Aegean Sea. 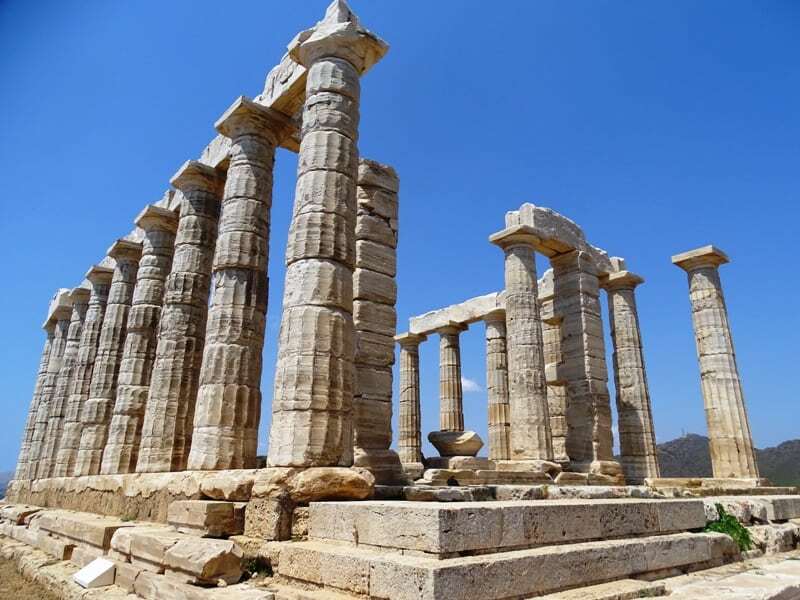 While at the Temple of Poseidon, you’ll also be able to explore this ancient ruin that was created by the Greeks and dedicated to the Greek god Poseidon. During the summer months, you can swim in the crystal clear waters of a nearby beach and have some fresh seafood in a seafront taverna. Don’t forget to admire one of the magnificent sunsets that disappears behind the Greek landscape after displaying a beautiful collage of colors. The half day sunset tour to Sounio that lasts approx 4 hours. 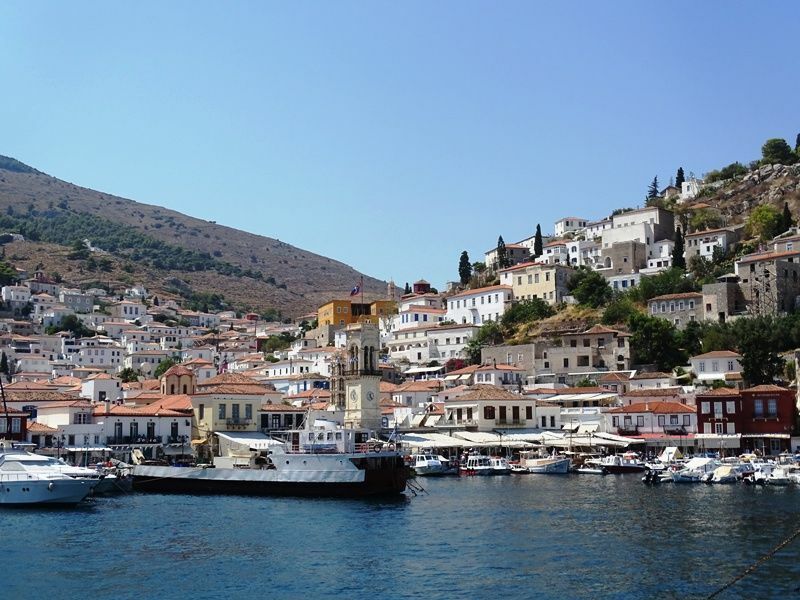 On this day cruise, you will visit 3 Saronic islands in one day. 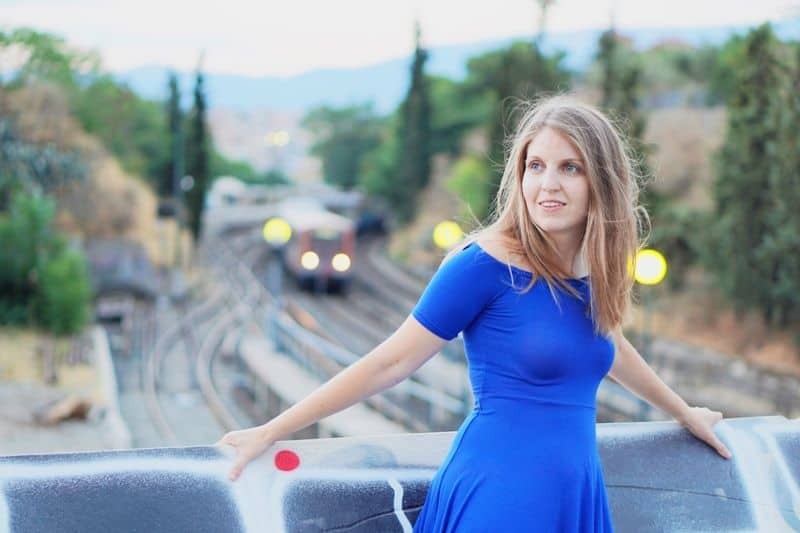 Starting from the picturesque island of Hydra, then going to the green island of Poros and lastly the island of Aegina where you can visit the Temple of Aphaea which is located near the Saronic Gulf and displays a beautiful example of classic Greek architecture. While here, you’ll also be able to taste the world famous pistachios which are known for their crunchy texture and sweet yet nutty flavor. Lunch is served on board with this tour, and live entertainment with Greek music and traditional dances is also included. 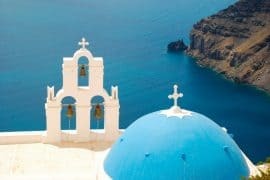 With this day cruise, you will have the chance to visit these three different Greek islands in a day while slowly floating down the tranquil waters of the Saronic Gulf. 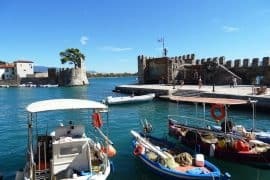 On this day trip to Peloponnese, you will visit some of the most important archaeological sites of Greece, Mycenae, and Epidaurus. 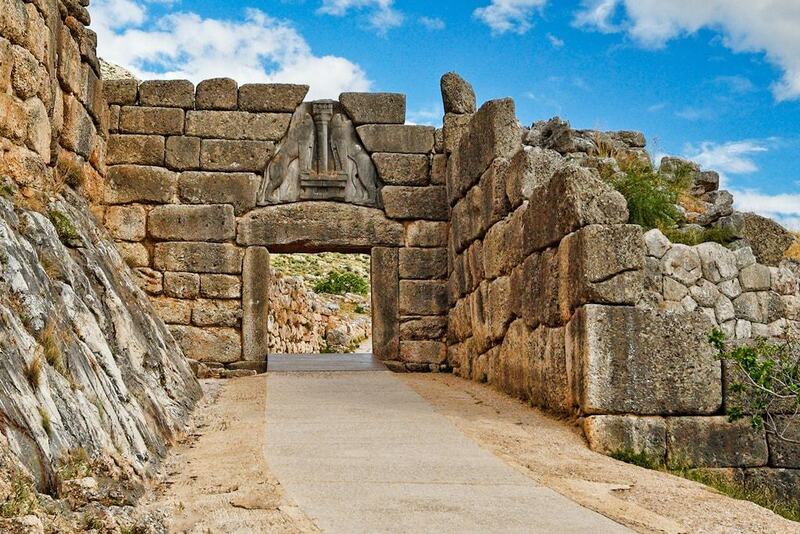 Mycenae was the city of mythical Agamemnon, the hero of the Trojan War. 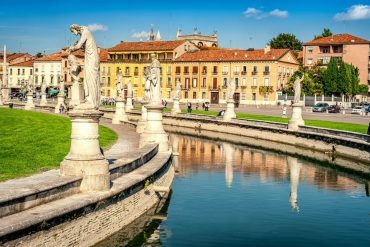 There you will have the chance to visit the archaeological site and the beautiful museum which houses numerous archeological artifacts you can view and learn about. Nearby is the archaeological site of Asklipieion at Epidaurus which was declared as a World Heritage Center from UNESCO and was one of the most important healing places at ancient times. Dedicated to the Greek god of medicine, Asklepios, ancient Greeks would flock here to receive medical treatment for their ailments. You’ll be able to view the baths, sanctuary, and hospital where these treatments once took place. 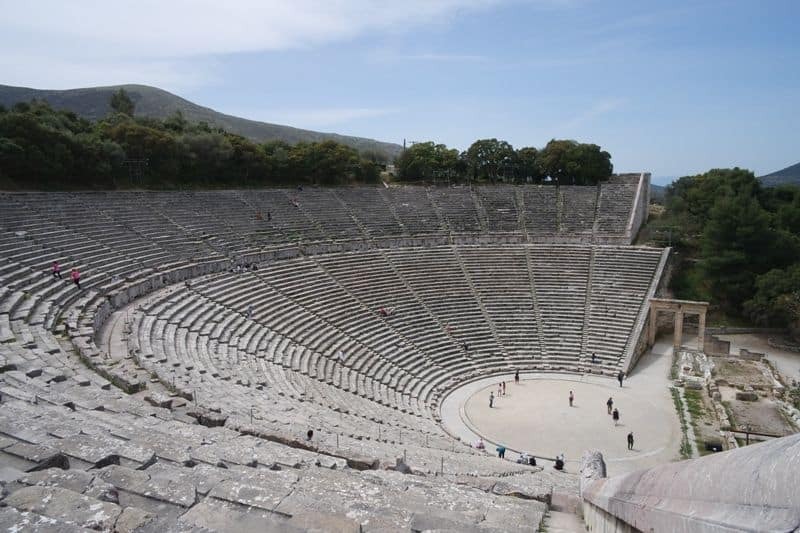 Apart from the area of Asklipieion, you will visit the ancient theatre of Epidaurus and the museum. 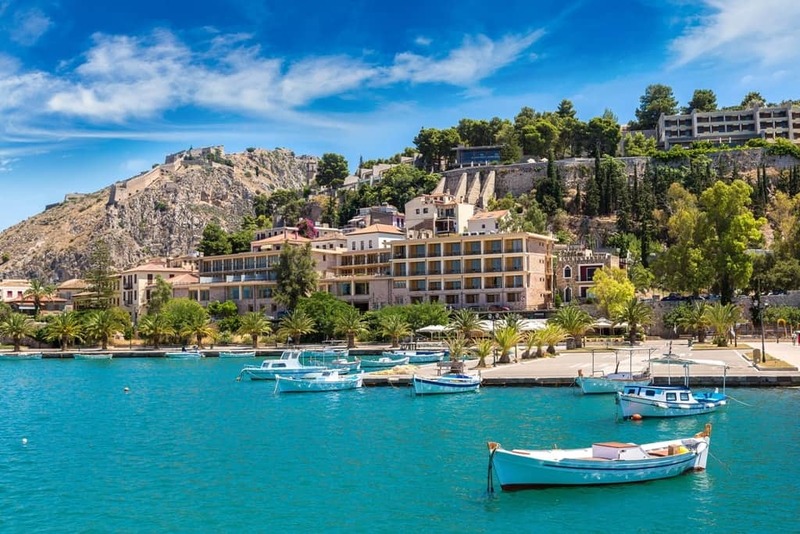 Lastly, you can visit one of Greece’s most picturesque towns Nafplio. In Nafplio you can visit the Palamidi castle or wander through the cobbled alleys and admire the architecture. Meteora is a place of unique beauty, famous around the world for its gigantic rock pillars and monasteries that are built on their summits. One of the most popular monasteries to visit here is the Monastery of Great Meteoron which is scattered around one of the top rock pillars and is known for its stunning red roof. There’s also the Monastery of Rousanou which is built into the side of a rock and was created around the 16th century. 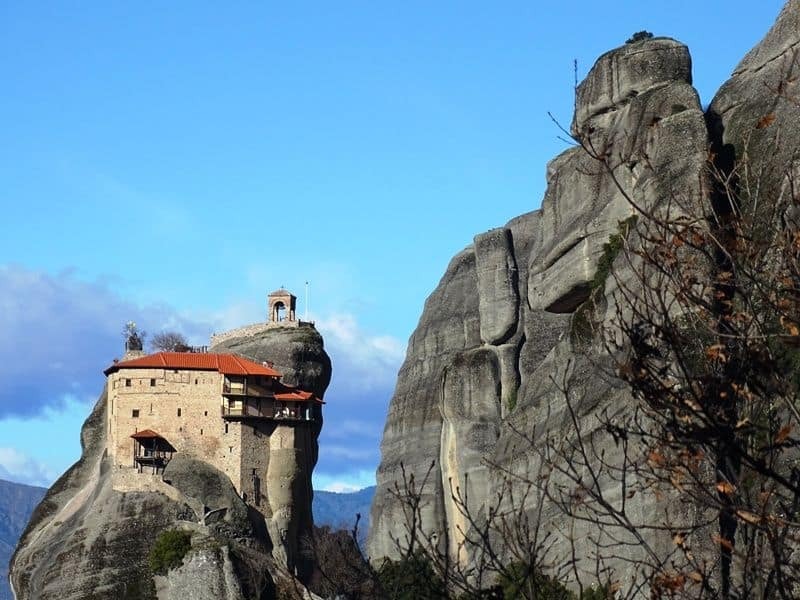 It’s considered to be the easiest one to visit in Meteora thanks to it being built lower into the rock formations making it easier for guests to access. 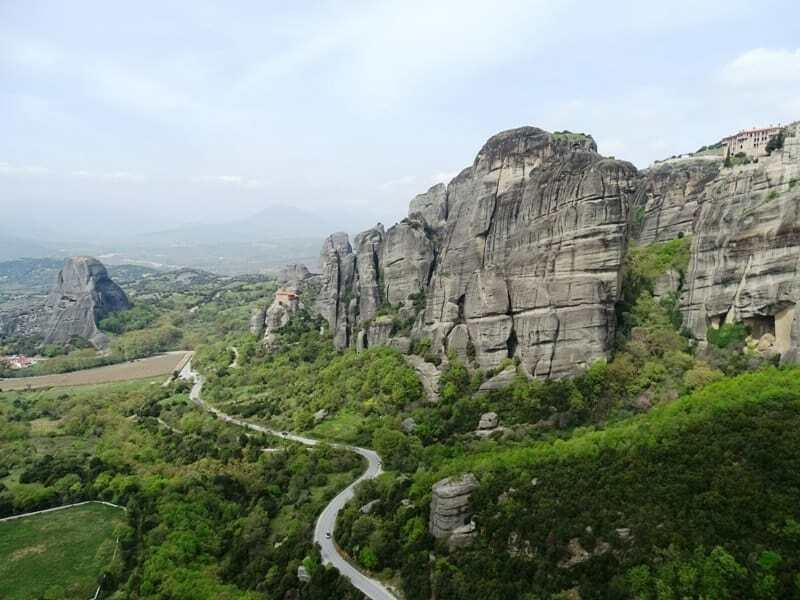 Meteora is not only one of the biggest monastic centers in Greece but a place with incredible nature. You’ll be able to see various types of native trees, shrubs, and plants that grow through the valley and even up the magnificent rock structures which are also dazzling as well with their beautiful shades of brown, gray, and black. 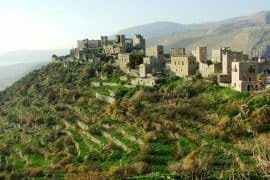 It is not very close to Athens but you can still visit it as a day trip. The excursion to this beautiful spot will help you to better experience this area more and you’ll be able to trek across these massive rocks to explore the ancient monasteries and view incredible panoramic views of the valley below you. 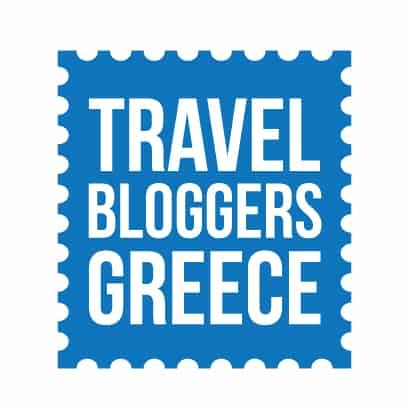 Another great tour to partake in while venturing to Athens is the Ancient Olympia Tour. This tour will take you around the various spots in Olympia that are not only historic, but feature beautiful landscapes. 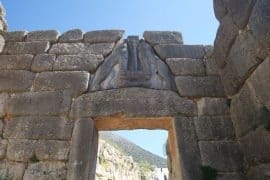 This private tour lasts around 10 hours and you will be taken around to places like the Corinth Canal, ancient Olympia, and the Temple of Zeus by your guide. When you’re done, you can stop by a local restaurant for lunch or dinner before heading back. 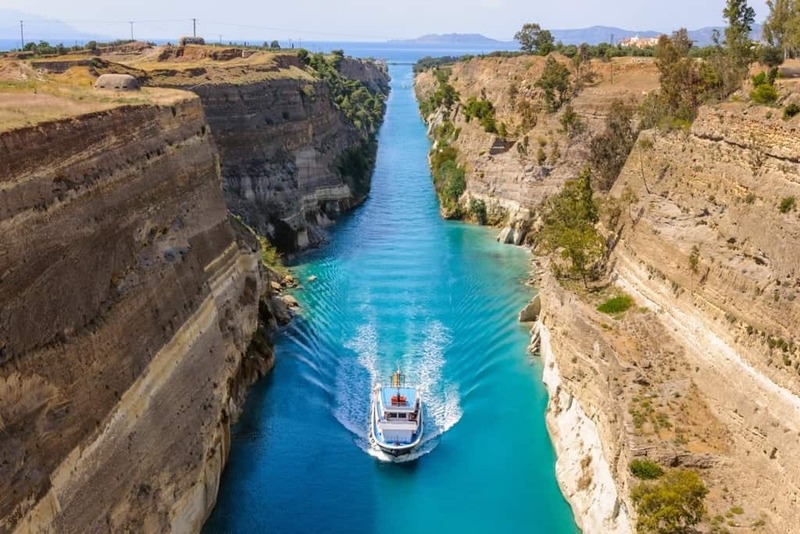 The Corinth Canal is situated in the city of Peloponnese and works to connect the Saronic Sea with the Corinthian Gulf. This canal is built between towering rocky hills and is considered to be an important transportation route to get around southern Greece. You can visit this site to get pictures of this remarkable landscape or even book a short boat tour that will take you through the canal so you can get a unique perspective of it. 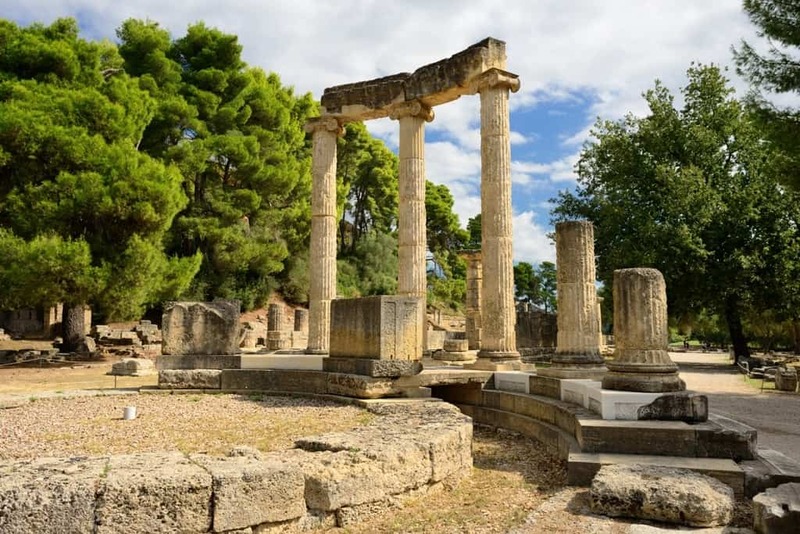 After exploring the Corinth Canal, the next stop on this tour is to ancient Olympia, which is where the Olympics first took place. When in Olympia, you’ll be able to see some of the archeological sites where these games were once played and some interesting artifacts they found here in the Archeological Museum of Olympia. 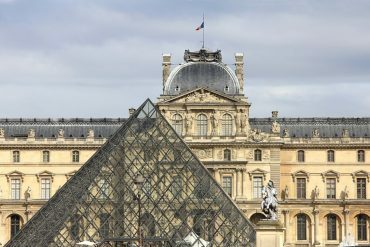 In this museum, you’ll find artifacts saved from the Temple of Zeus as well as a rare bronze battering-ram piece that is considered to be one of the only one of its kind in the world. There’s also the Museum of the Olympic Games which dives more into the history of this popular sporting event and why the ancient Greeks created it. In addition to seeing Olympic artifacts and browsing through museums, you’ll also be able to see other ancient archaeological marvels, like the Temple of Zeus itself which towers over the site. This structure is an important part of the area due not only to its historical meanings, but because it is considered to be one of the best examples of Doric architecture, a style made popular during ancient Greece. You’ll be able to view the massive columns, fading bright colors and golden accents, as well as statues of Zeus while exploring this beautiful structure. You might also meet an archeological restoration crew working to save this temple and see them quickly at work restoring this important piece of Greek history. You’ll also find the Pelopion which is believed to be the tomb of Pelops, a major figure in Greek mythology. 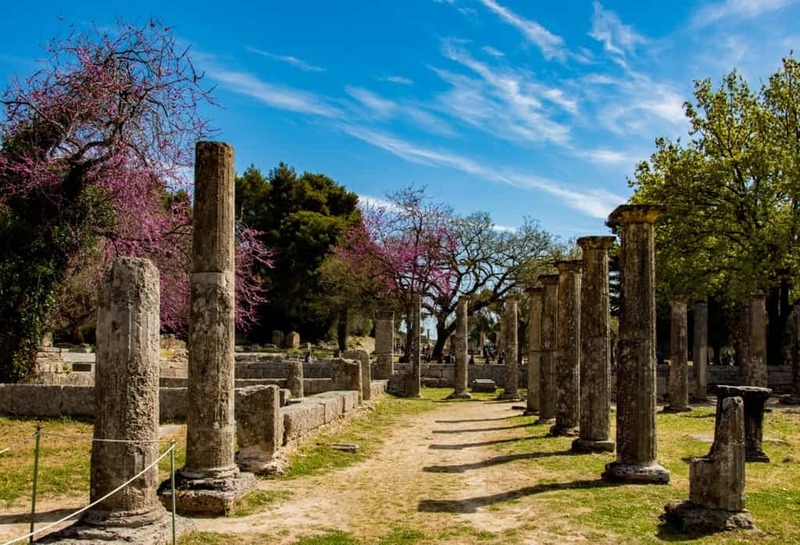 Olympia is filled with ancient structures and on this tour, you’ll be able to see them for yourself and learn more about their intricate history. Once you’re done exploring the ancient wonders of Greece, you can close the day with a mouthwatering Greek meal. You’ll find many traditional restaurants and taverns you can dine at which serve classic meals likeBriamand fresh seafood caught in the nearby sea. 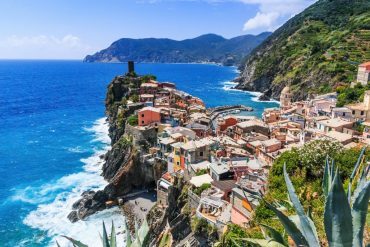 This tour includes car and driver costs as well as any tolls and fees that are needed to get into certain places. However, tickets are needed to be bought on their own and lunch is not provided for with this tour. You might also be interested in: The best places to stay in Athens. Have you ever been to Athens? Did you make any day trip outside of Athens? Previous articleLake Como or Lake Garda? Which Italian Lake to choose. That’s exactly what I’m thinking. How much time did you have there?